Here at Signature Smiles, we offer patients in and around the Woodinville region some exceptional dental care treatment. We are pleased to offer comprehensive general dentistry services to treat and prevent dental problems. One great option in preventative dental care is the use of a mouth guard. Let's look at three great candidates for mouth guards right now. What is a mouth guard exactly? A mouth guard is a type of protective retainer that is worn in order to protect the teeth from serious harm. Mouth guards come in various forms, and are prescribed or provided for a number of different uses. As you can see below, there are many different people who would benefit from getting a mouth guard. If you are an athlete at any level, a mouth guard may be just what you need to protect your teeth and tongue from serious injuries. Protective mouth guards are worn during athletic competition, and will prevent serious chips and cracks to the teeth and dramatically reduce injuries to your tongue as well. Mouth guards are great for professional athletes, college and high school athletes, and even weekend warriors. Think of it as common sense protective gear. In addition to the above, very physical sports in which accidental contact may occur are also ideal for mouth guards. This includes basketball and hockey. Getting a custom mouth guard created by your dentist is generally preferable to purchasing a stock fit mouth guard at the local sporting goods store. The custom mouth guards are far more comfortable, meaning that they fit you properly and offer the most comprehensive protection of your teeth and gums. In addition, this comfort translates into impacting your game as little as possible, offering protection without distraction. In addition to being great for athletes, mouth guards are also a great option for people who suffer from teeth grinding. The mouth guard limits the amount of direct contact between the upper and lower teeth, meaning that there is reduce damage to the teeth. Treating teeth grind often takes a combination of treatments, so keep in mind that a mouth guard is usually just part of the treatment process. Even if it's just a part of treating tooth grinding, it's a crucial and important one. TMJ disorders—that clicking, popping, grinding, and pain in the jaw—are sometimes treated by the use of mouth guards if the root cause of the problem is related to teeth grinding. 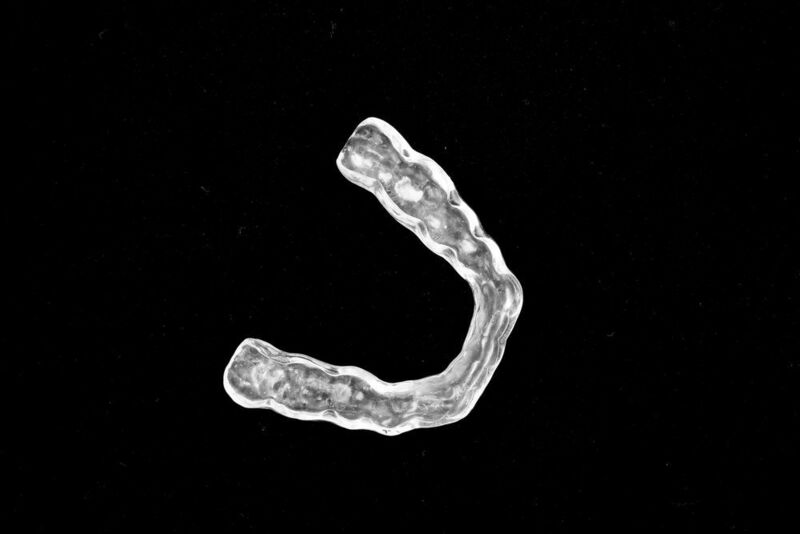 In addition to reducing the contact between teeth, the mouth guard helps reduce the amount of pressure and strain on the jaw joint, reducing issues with the TMJ. As with teeth grinding, a mouth guard is usually just part of the TMJ disorder treatment process. Your dentist will discuss other treatments that can be used to help improve the health of your jaw joint. For more information about mouth guards and their many different uses for dental care treatment, be sure to contact our cosmetic and restorative dentistry center today. The dental care team at Signature Smiles looks forward to your visit and helping you have the healthiest and most beautiful smile possible.